From the early days of traders and trappers to today's global online marketplace, business is the glue that holds our world together. 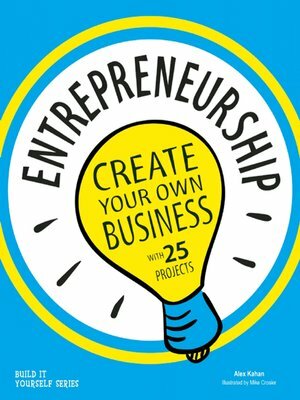 In Entrepreneurship: Create Your Own Business, children learn what it takes to transform a great idea into their own new business. Through plenty of hands-on activities, art and history meet economics and math while young readers gain a solid understanding of how a business works. Kids use familiar resources to develop a business idea of their own, create a presentation for potential investors, and utilize basic cost and price analysis worksheets. The skills they learn by writing a business plan, creating a prototype of an item to sell, designing packaging, and finding ways to advertise their products translate into language, math, and problem-solving skills that are relevant across all subjects. Cartoon illustrations, fun facts, and interviews with successful entrepreneurs make Entrepreneurship entertaining and informative. Supplemental materials include a glossary, list of resources, and an index. Entrepreneurship meets common core state standards in language arts for reading informational text and literary nonfiction; Guided Reading Levels and Lexile measurements indicate grade level and text complexity.